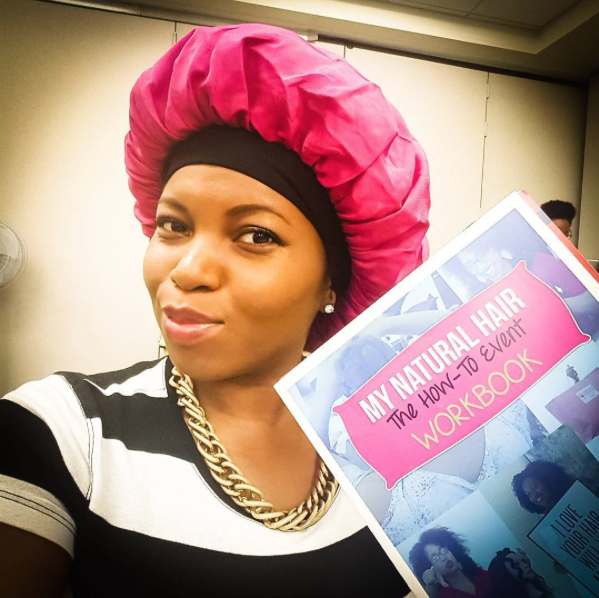 A few weeks ago, I attended The Natural Cole: | A How-To Event. 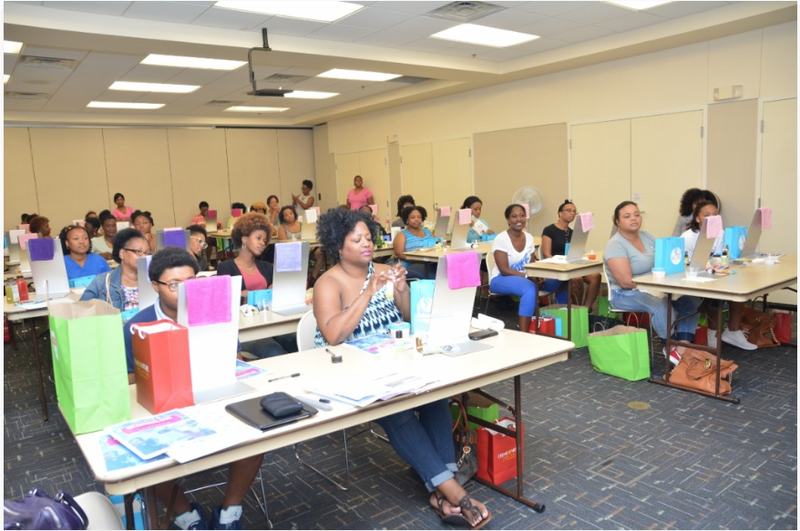 Attendess learned a variety of information regarding natural hair and tips on how to pick the correct products for their hair. Additionally, attendees practiced hair styles on their own hair! Lead by Cole Patrick and an education segment from Janelle Sands of Secret Curl Society, the event is a must for anyone thinking about or having problems with their natural hair. By partnering with 20+ hair care companies, Cole ensured attendees left with not just the best products for their hair but also a variety for various textures. 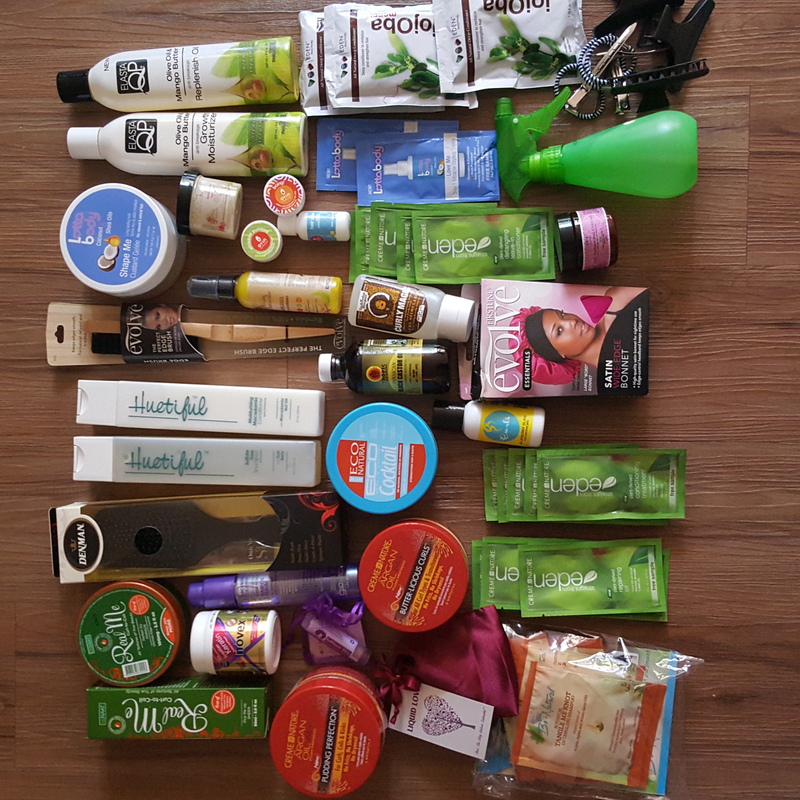 After a few weeks of playing around with the products I received, I wanted to point out my favorite items thus far. Check it out. 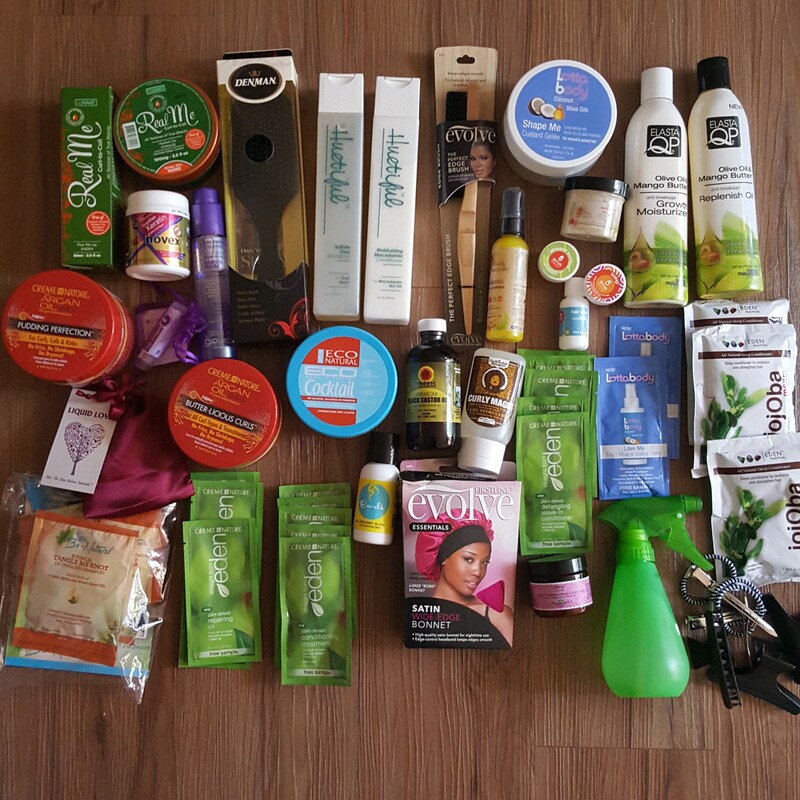 nuNAAT: Haircare products designed to cleanse, moisturize, and maintain based on the needs of your hair texture and daily styling routine. The Real Me Curl-to-Coil Collection is the solution to dry, unmanageable hair. Must-Try Product: Several of my friends raved about the Real Me line from nuNatt. Since, Secret Curl Society did a demo using the line, I recommend the pomade for bantu knots and flat twist. Giovanni Cosmetics: The repairing super potion hair oil serum for damaged hair smooth, softens, tames frizz, adds shine and prevents breakage and split ends. The serum is great for adding shine on twist-outs, Bantu knots and flat twist. Eco Natural Curling Cocktail: Eco Natural Curling Cocktail is a great styling cocktail for achieving soft, bouncy, shiny curls without leaving heavy build or flakiness. The cocktail is an inexpensive and nice layering product with the famous Eco Styler gel. Evolve: A product line of Firstline, the company has an elevated understanding, nurturing, and championing multicultural hair to dizzying heights for 30+ years. Evolve accessories are designed to meet the styling and fashion needs of trendy, fashion-conscious women. Must Have Product: No words. It is obvious that I fell in love with this bonnet!! 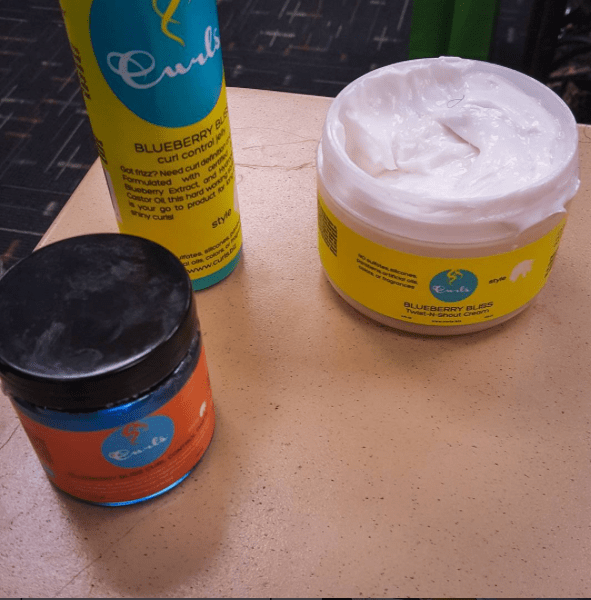 Curls: Curls is a leading curly hair care company providing consumers with an unrivaled premium line of natural curly hair solutions for waves, curls and kinks. 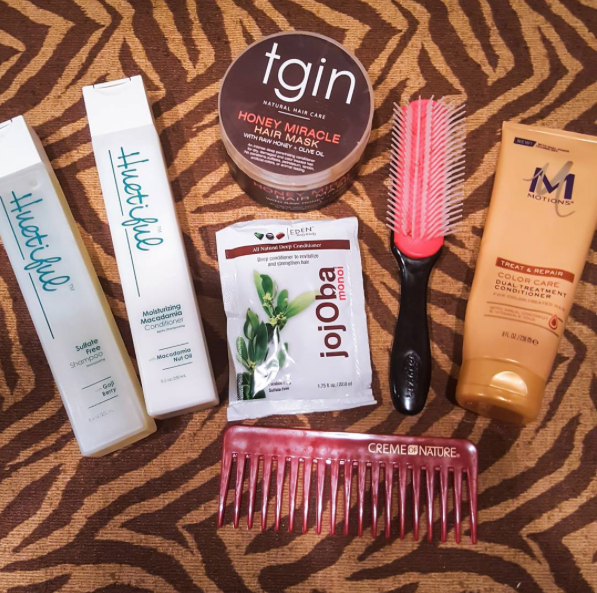 Must Have Product: The blueberry bliss curl control jelly and paste are my favorites thus far. I used the jelly in my new wash-and-go method on the blonde part of my hair. You can take a look at the results here. Huetiful: The sulfate free cleansing shampoo provides gentle, yet deep cleansing. The hydrating conditioner with Macadamia Nut Oil strengthens hair and replaces oil to help prevent breakage and split ends. Must-Try Product: The conditioner is officially a must have product. FYI: The Company just released a new hair care line so major kudos on letting us try it first. Denman Brush: It’s no wonder why the Denman Brush is No. 1 Hairbrush Supplier in the world! Let me stop to say, the Denman Brush is the truth. If you don’t have one, run to get one right now. I have a D7 and can’t live without it. Uncle Funky’s Daughter: Uncle Funky’s Daughter manufactures natural beauty products with the purpose of empowering women, men and children to embrace their unique and undeniable inner and outer beauty. Must-Try Product: Uncle Funky’s Curly Magic. The curly magic is A MUST! I have never had curls popping like this. 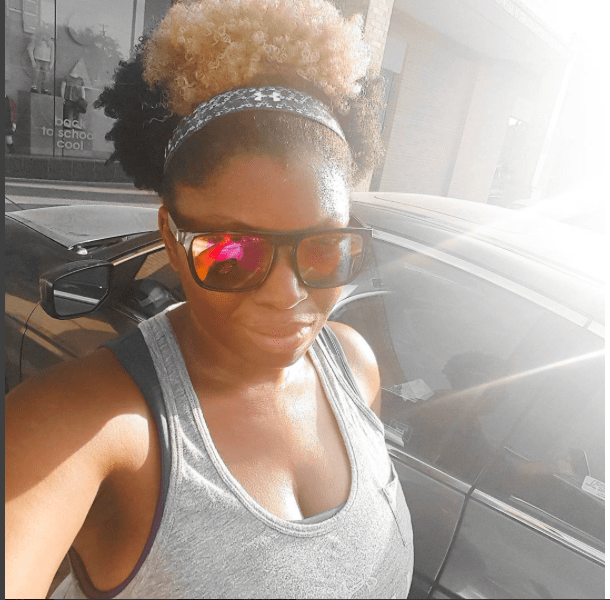 This picture is post-run giving you proof this product is definitely #Fithair approved!